Built at Ulverston in 1912 by Dan Mc Lester who was the last apprentice shipwright at the famous schooner yard, Whites at Barrow. She was built from all the oak left over when Whites closed, hence her name Hearts of Oak. She worked as a pilot boat for many years for the iron works but was then left to rot in a creek. She was rebuilt locally and during World War II "Barbara", as she was then known, was used as a pilot boat, fishing boat and air sea rescue. During this time she was able to save the lives of several airmen who were forced to ditch their aircraft in the Duddon Estuary. Her name was reverted back to Hearts of Oak and went to fishing at Maryport in 1964. She returned to her home waters in 1999 and the Hearts of Oak Boat Trust was formed. After receiving a Heritage Lottery grant in 2005 she was restored by Scott Metcalfe at Porth Penrhyn to her original appearance. 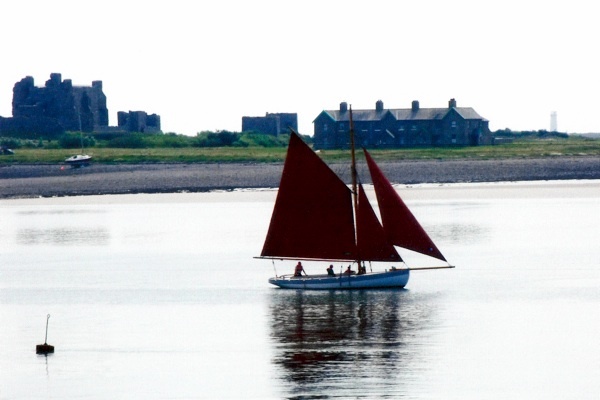 Since 2008 she has sailed around the Morecambe Bay area by members of the Trust, she has a book written about her, appeared on local videos and in 2012 featured in a BBC Countryfile programme with Matt Baker. She is now managed by Mrs J Snell (trustee chair) of Ulverston, Cumbria. My great grand father, Thomas Sherlock served on board a boat called the Hearts of Oak according to the 1901 census for Wales - Denio, Pwllhelli, Caernarvonshire. The other fishermen on board were Joseph Sherlock, John Sherlock and Peter Ball. Is it possible that this was their boat? The Sherlock side of the crew are from Hoylake on the Wirral a big fishing area at that time.